Until a few years ago, the state of digital rights management (DRM) in comics wasn’t pretty. 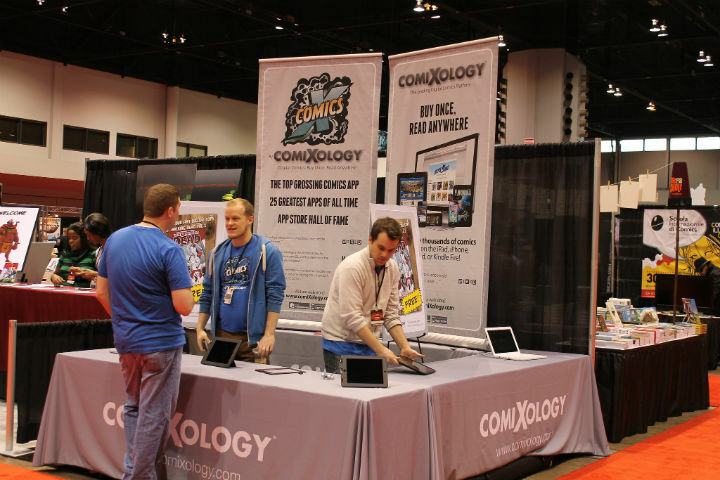 Comixology, the dominant digital comics seller, used to offer fairly restrictive digital rights management on all of its books, with no option for publishers that wanted to opt-out. While this suited the “Big Two” (DC and Marvel) just fine, obviously others didn’t feel that way, as some smaller publishers sold the same books elsewhere DRM-free. Things started to change when Image started to sell DRM-free books. Comixology eventually followed suit, and started offering DRM-free backup copies, in a choice of downloadable PDF and CBZ files. Today, most of the non-Big Two major comic publishers offer DRM-free comics, either through Comixology’s backup feature or through various non-Comixology digital stores. But which major publishers still aren’t DRM-free? I looked at which top 20 comics publishers didn’t offer DRM-free books, based on Diamond’s top 20 publishers list as of 2014. Random House, specifically their manga subsidiary Kodansha Comics. Hachette publishes a few graphic novels and trade paperbacks, as does St. Martins Press. Boom!, Dark Horse, Viz, Avatar, Zenescope, and Titan (who publish “Dr. Who” comics) are the main single-issue comic publishers left that’re digital rights management holdouts. Again, I assume DC and Marvel will be the last two to go DRM-free, if they ever do, given their parent companies are Time Warner and Disney respectively. Large media conglomerates were the ones to push through consumer-hostile laws like the Digital Millennium Copyright Act (DMCA) in the first place. Of course, they capitulated eventually on music digital rights management, so there’s always a chance this will change, too.